At the tender age of 27 Aussie based artisan Celia Harris is already a master sculptor. The child of two sculptors, she was encouraged at a young age to create whatever she could imagine or dream. 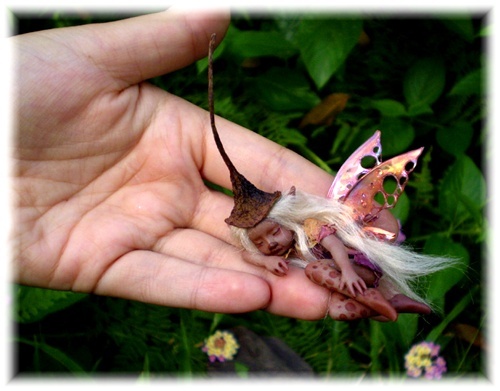 The resulting polymer creations are the most delightful fairies we have seen on 7 continents. 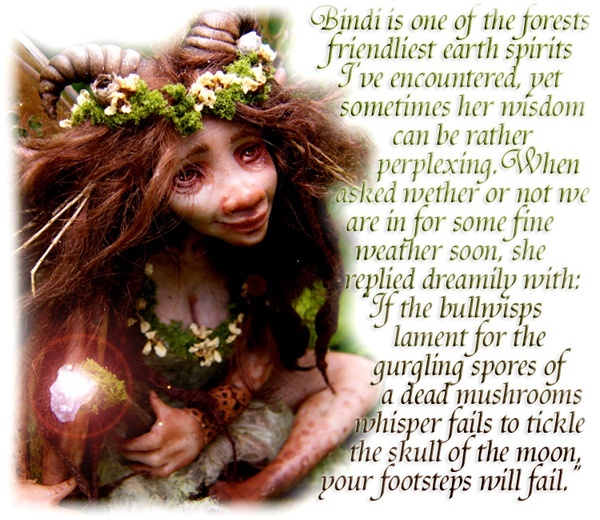 We were delighted to catch up with her yesterday at her home in New South Wales, Australia to talk about fairies, magick and fun. Style Coven: Do you SEE fairies, or do your creations come from your imagination? Celia: Definitely both! How often I see them depends on how lucid I’m feeling and the location. I see them mostly when alone and in the wilds and there’s no chance of me being disturbed by another human with a commanding presence! Here I feel most at one with my surroundings and feel no different to the trees, the critters or insects. Another sight unfolds in those spaces. Also a lot of my faes are from the imagination with elements of what I’ve felt and seen and also stem from a sense of child-like play (and maternal instinct sometimes)! Celia: I’ve bought books on the subject but failed to complete reading them! My mind has become lazy these days, I tend to communicate with them through feeling and the heart. As long as they know that I love them and that I honor and recognize them as an integral part of the earth that bears both of us I’m happy.Style Coven: How long does it take you to make a fairy? 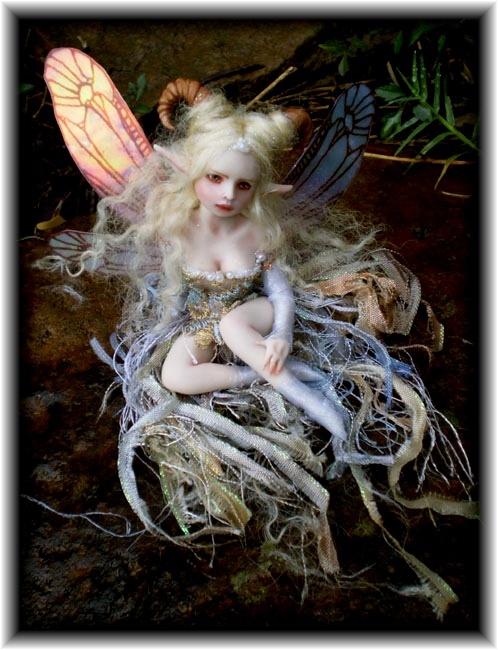 Celia: This depends on the type of faeries, the costuming and anatomical detail. They can take from 5 hours to a full week ranging from my tiny little ones to the larger. Style Coven: How do you give them their names? Celia: They mostly just pop into my head when looking at them! Sometimes though they tell me they want that name even before they’ve been manifested! Style Coven: Do you keep up with the people who buy them? Celia: Sometimes I get swamped with orders but mostly I can manage! Style Coven: How long does it take for a fairy to be delivered to the USA once it is ordered? Celia: Made to order takes 7 business days on average once an order has been placed to be shipped. For faeries already completed (auction style faeries) they are sent within 5 business days and take from 10 days to 3 weeks to arrive to their destination depending on the time of year and the location. An express shipping option is available and guarantees delivery within 4 days however costs extra. 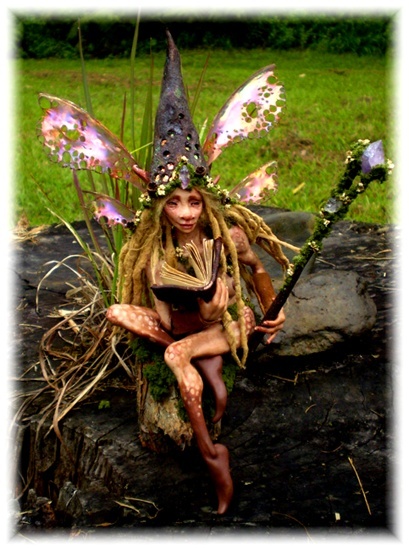 Style Coven: Do you do custom fairies? Celia: I have 7 made to order listings on etsy at the moment but other than that I rarely do custom orders because they frazzle me so! I tend to need to go with my own flow as much as possible and mostly other peoples vision is not in that flow. I’ve been known to say yes though if something resonates. Style Coven: Have you thought of doing gnomes and trolls? Celia: I made one troll called Og’rak the Troll Shaman but I need to do more! I see them so often! I saw a beautiful big swamp troll once down at the waterhole where I used to live and have been meaning to sculpt her ever since! Style Coven: When do your fairies ever go on sale? Celia: Never officially but sometimes I lower prices to meet the current market which always pains me to do as so many of my faeries have a good chunk of me in them! 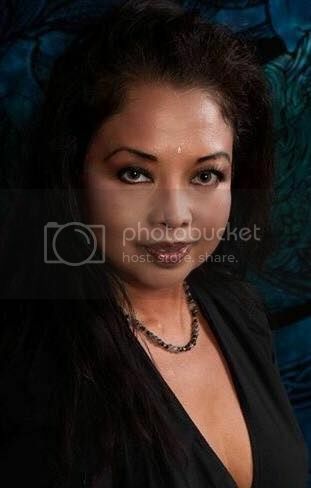 Celia has been auctioning and selling privately to collectors from all over the world including: Hong Kong, Japan, America, England, Switzerland, Finland, Sweden, Belgium, Spain, Italy and Scotland. Her future plans include a children’s book and a range of stationary, gift cards and prints. Dedication: For DeAnna Rice who taught me how to love fairies, gnomes and elves.